After interviewing its new Executive Committee Members and Executive Director, FORUM-ASIA met with Chew Chuan Yang (Dobby), Documentation & Monitoring Coordinator of Suara Rakyat Malaysia (SUARAM), a FORUM-ASIA founding member organisation from Malaysia. The story of SUARAM has been featured in FORUM-ASIA 25th Anniversary Publication ‘Our Struggles for Human Rights – 25 years of FORUM-ASIA’, in a piece written by Dobby and Sevan Doraisamy, the Executive Director of SUARAM. We interviewed Dobby in Bangkok, Thailand, to ask him about his personal engagement with the human rights movement, his motivations to continue working in this field, as well as his thoughts on the involvement of youth as a new generation of human rights defenders. How did you become involved in human rights? When I was deciding on what I wanted to study, what I wanted to do with my life, I basically flipped a coin. One side represented Psychology and the other was Law. The coin landed on Law. And from there I started to think about focussing on human rights. At the same time, I got inspired by the founder of SUARAM, Dr Kua Kia Soong. In his book, May 13: Declassified Documents on the Malaysian Riots of 1969, he talked about Government conspiracies, specifically how the Government back then orchestrated a riot that killed many people. This got me thinking, wanting to learn more about human rights, and as I progressed, I decided that I wanted to go into this area of work. And as I got more I go into it, the more I saw that there is injustice around, I realised that not doing anything was, is not option. It is about the small victories that we get sometimes, because working in human rights is mostly a losing battle. You do not go into a court and expect to get resounding victories or walk out like the champion of the boxing ring. Most likely you go through due process, you feel the disappointment, and you feel the fatigue. But sometimes, you finally get someone out of prison, someone who was wrongly detained. The tears in the family’s eyes, the gratefulness in their voice, that just kicks in and you realise that this is not exactly what excites you, but what drives you forward. It reminds you that this is a struggle worth fighting for. 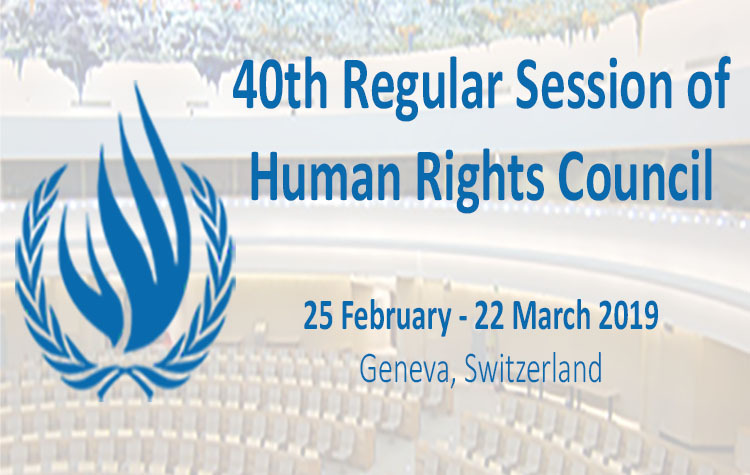 What do you experience as the main challenges of someone working on human rights? Civil society usually works with very little resources, both in terms of finances and human resources. It is kind of an unfair fight, where the Government has unlimited resources to harass and persecute. This happens all over the world, regardless of where you are, it is the same equation. But what exhausts me the most and why sometimes I feel it is a losing battle, is how easily they Governments manipulate common lay people. Human rights defenders, people that are politically savvy, are more keenly aware and know how to discern this, most of the time. But they manage to build this culture of fear around human rights, freedom and democracy. A lot of lay people just look at you and ask you: ‘aren’t you worried? aren’t you afraid?’ And sometimes you realise that these people constitute the majority of the population, and then you feel, sense the difficulties and realise how hard is to fight back. When it comes to Malaysia, we just had a big Bersih march, Bersih 5.0. It happened, despite the intimidations. It was reassuring to see that people still came out, although not in the same numbers as previous editions, which was understandable considering the current circumstances. But it was still a very strong crowd that turned out. They marched peacefully, despite the provocations. There were no incidents. What really reassured me was that unlike during previous editions, when people were marching and police started unleashing water cannons, this time the police was really professional. They allowed the protest to happen, neither intimidated nor harassed the crowd. That was really reassuring. But right after, we received a big reminder that dragged us back to the old days of Malaysia, when detention without trial was a common occurrence. Having Maria Chin Abdullah, Chairwoman of Bersih, arrested under Security Offences (Special Measures) Act (2012, SOSMA) was intimidating for many. It was truly scary, as we suddenly realised that it is no longer a gentlemen-fight, where we were persecuted for sedition or some minor offences. She was detained without trial, in solitary confinement, no light, no window, no bedding. The things they can do to you in there are horrifying. And you think that even though you fight for human rights, for a just cause, you might still end up in a prison. That is enough to keep you awake at night. What do you think about the solidarity towards Bersih coming from outside of Malaysia? It is good to see that a lot of people, even though they thought they had left the country for good, look at the Bersih movement and feel that there is change now. They are coming back to talk about it. Some of them are even willing to come back to the country and fight for justice. This is very reassuring, because these are very intelligent and capable people, and having them wanting to contribute back in Malaysia gives a lot of hope. For this, the solidarity messages and protests that we had in Melbourne, Sidney, Geneva and other places, was very encouraging. Having friends from other countries showing solidarity and support, coming down to observe the rally itself, that was also very important for us, because not matter how bad things are, we have friends who are still willing to come down and show support. Knowing that you are not alone, empowers you to fight on and on and not be afraid. As a young human rights activist, how would you assess the involvement of young people in Malaysia when it comes to human rights? And what would you say to someone that is tempted to join the human rights field, but not fully convinced yet? I would strongly urge those people that are in a position to help, to not just sit in their rooms and tweet about it or only make Facebook posts. In the end, it is about giving back to society and making a difference. One day I was in a protest and there was a young student activist speaking. He did not say that the young generation was the voice for the future. What he said was that the young generation should be the voice of today, that they cannot wait for the future. And this is true. What our Government decides, what our predecessors decided, determines our future. The reality is that they, we, the young people, do not live in the future. We live now, and we cannot only be the leaders of tomorrow, we need to be the voice, the leaders of today. This means that we can no longer sit back and say ‘hey we are millennials we can’t do much, no one listen to us’. We need to take on the fight, take back the space where you can decide, take back the student movement, mobilise the youth and fight back. Go out there, make a difference, make a change. For example, a few groups of young people now started to run soup kitchens to help the urban poor. Those are great initiatives that are not even political. And I have also seen a lot of friends organising talks, which are very progressive. Those are positive nation-building steps. I am pretty sure that the youth has a lot more ideas based on what we learn and experience, so it is time to expand this, to go out and just do it.